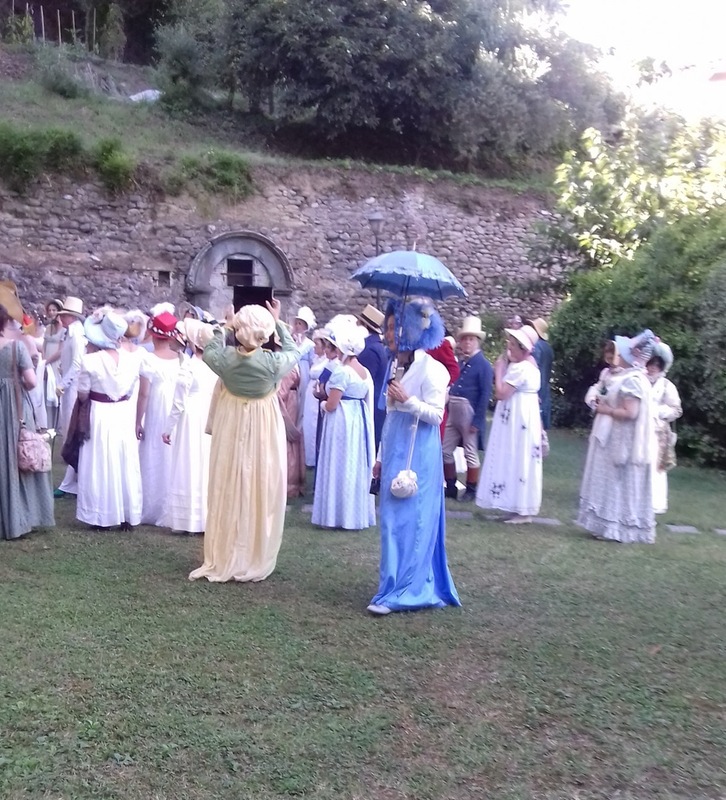 Last weekend in Bagni di Lucca was the wonderful event, Shelley a Bagni di Lucca…la poesia e il ballo. 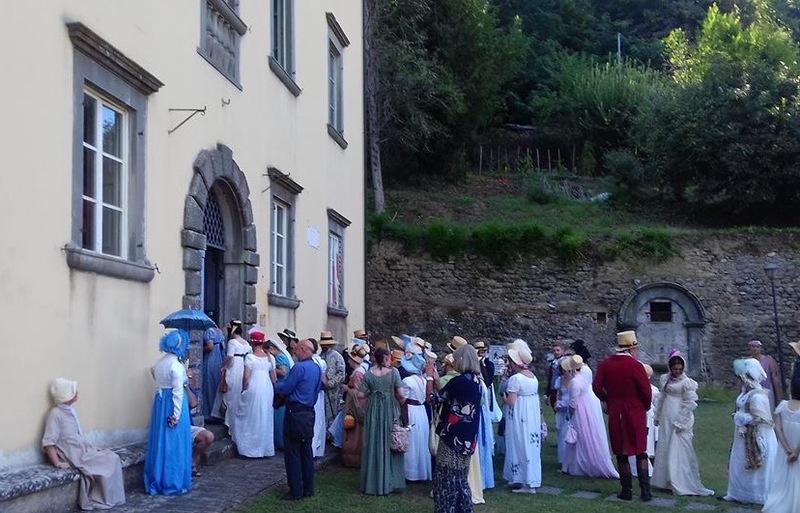 The event was attended by people in costumes of the period when the poet Shelley visited Bagni di Lucca. 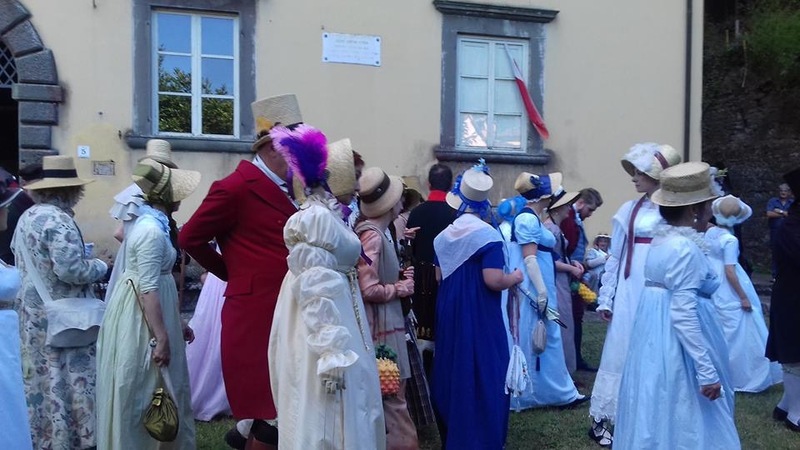 A crowd gathered at Villa Web and walked to various sites in the area. 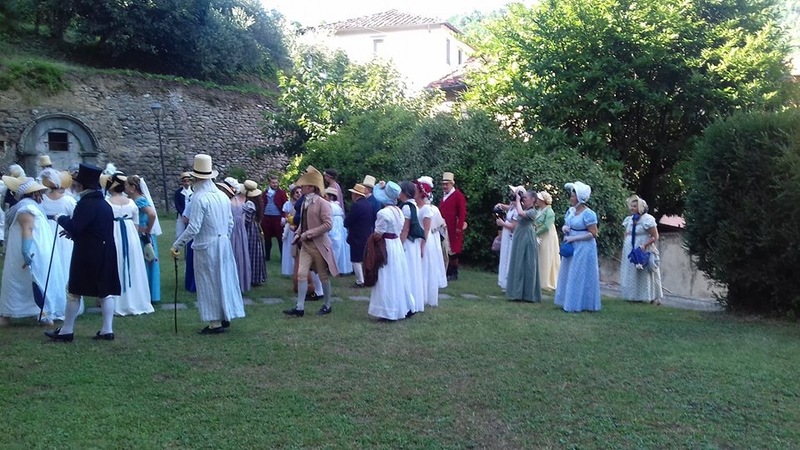 The photos below were taken by Rita Gualtieri. 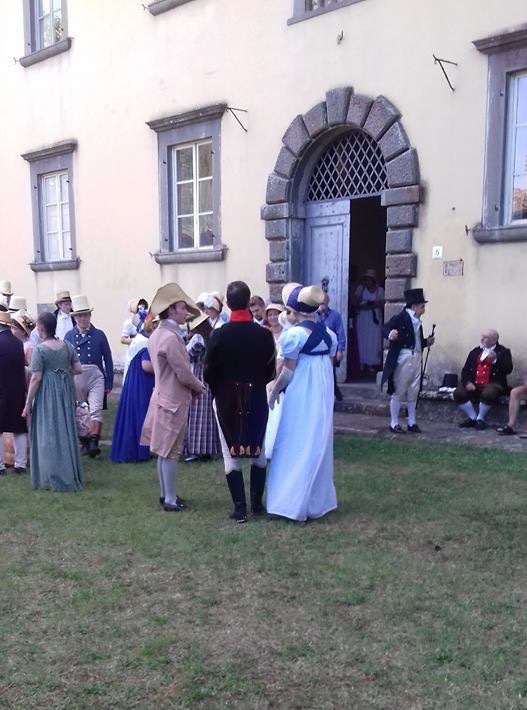 There was a dance at the casino in Ponte a Serraglio in the evening. 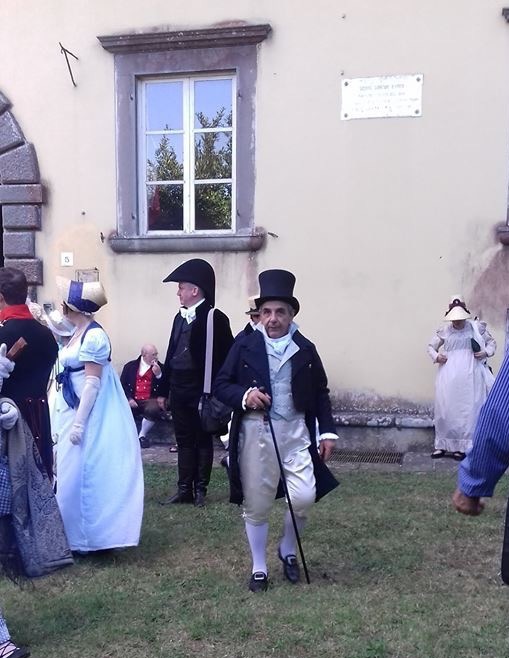 Look at the Facebook pages of Marco Pistolozzi, Valerio Ceccarelli and Rita Gualtieri for some wonderful photos of the well dressed characters. I think the enthusiasm the partipants bring to these events is great. I wish I had been there.